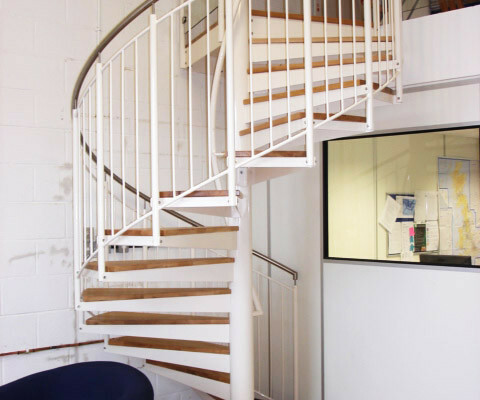 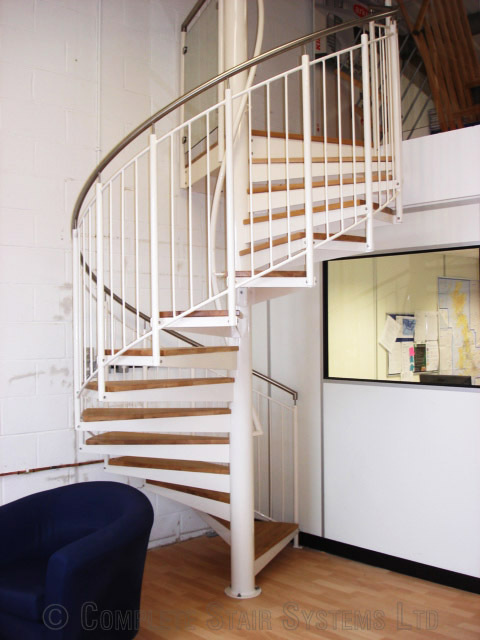 Our client was constructing a showroom and required a bespoke feature spiral to access their mezzanine show deck. 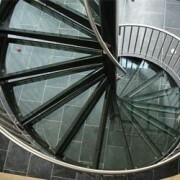 As the usage was semi public, we selected one of our fully bespoke spirals with a diameter of 2000mm. 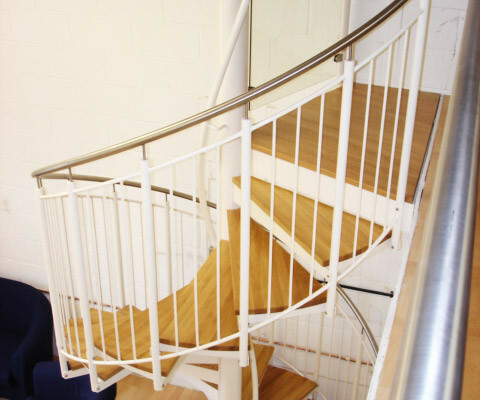 To ensure it met the regulations, we included a centre column handrail and ensured the clear tread width was no less than 800mm. 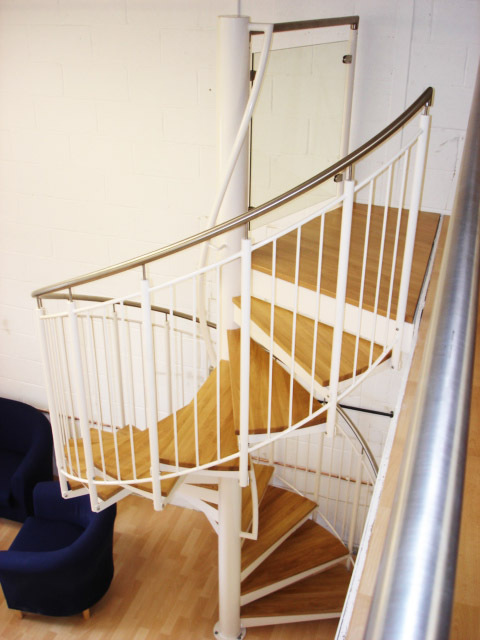 The client chose solid oak treads and a stainless steel handrail to go along with the ‘cream’ powder coated steel structure. 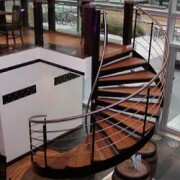 There was also a 5m run of glass balustrade along the mezzanine deck. 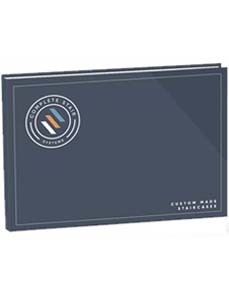 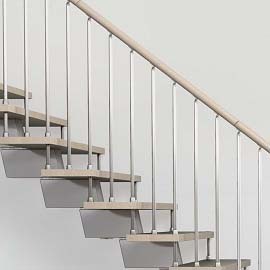 This model is available for viewing. 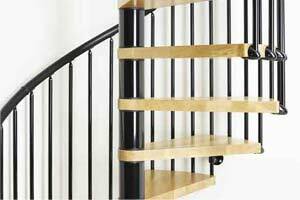 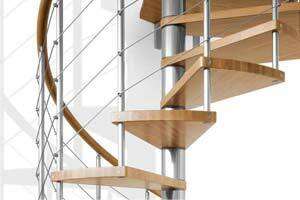 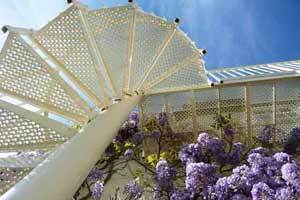 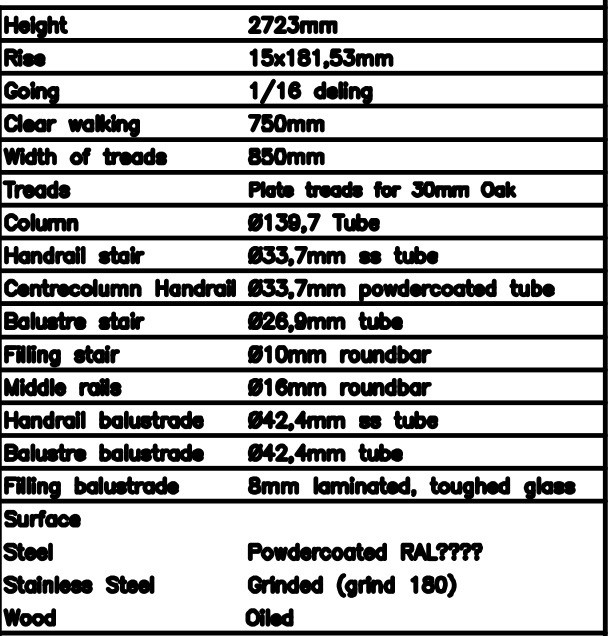 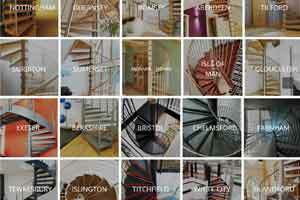 If you would like a price for “Spiral Staircase Romsey”, then please fill out the form below. 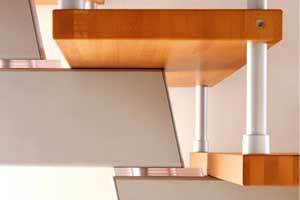 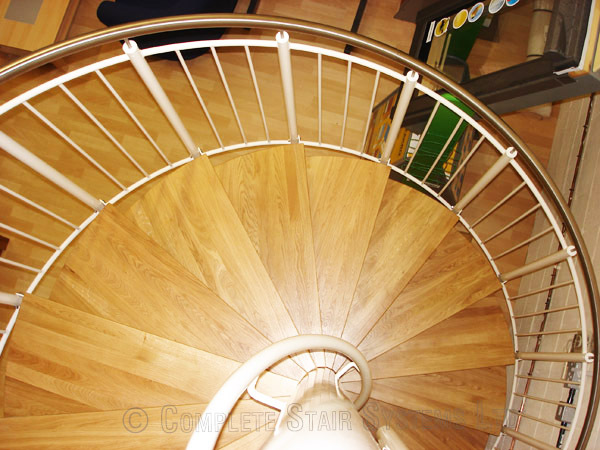 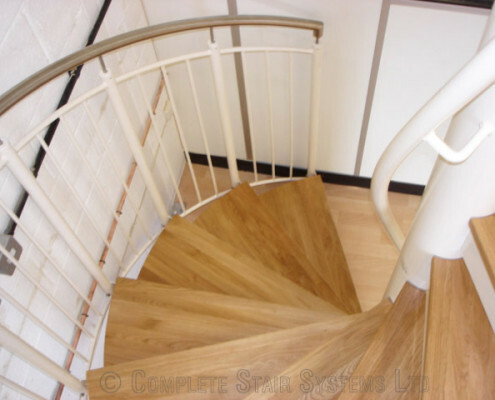 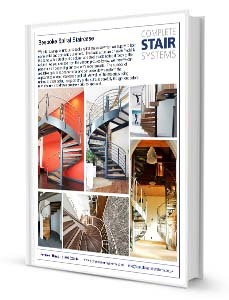 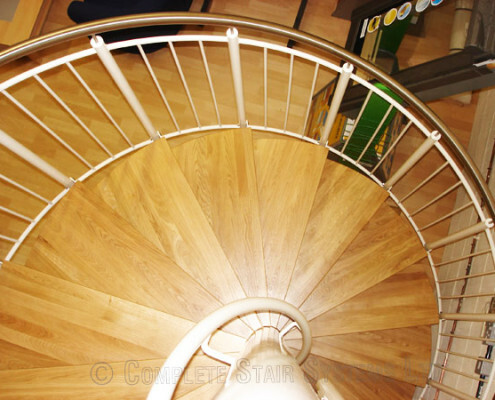 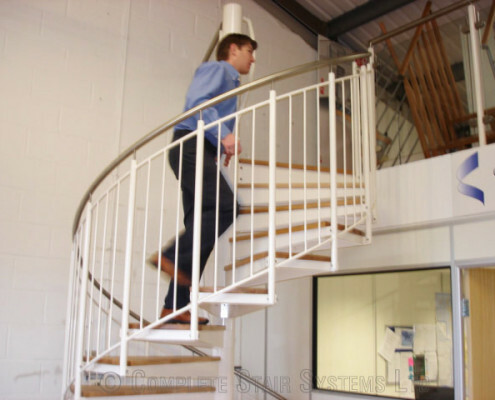 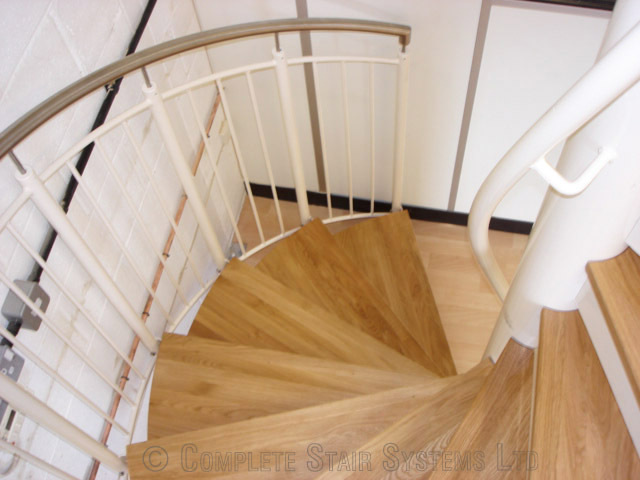 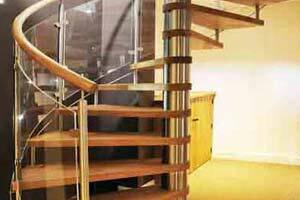 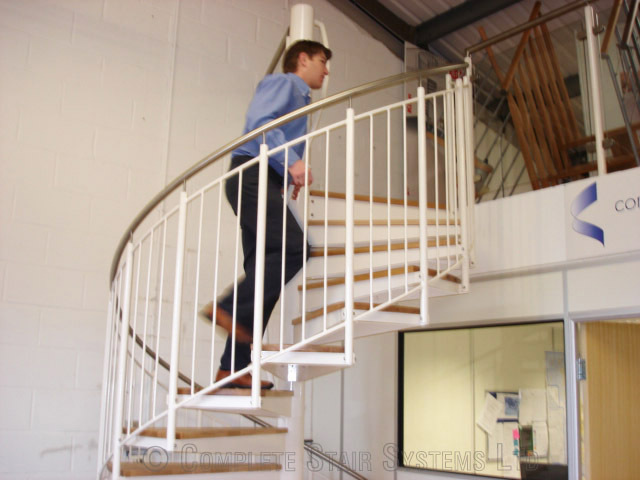 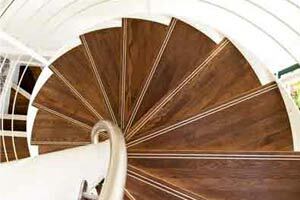 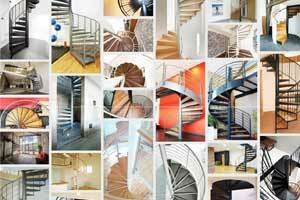 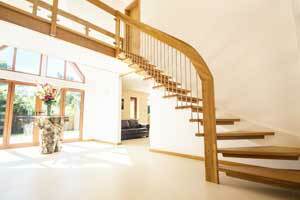 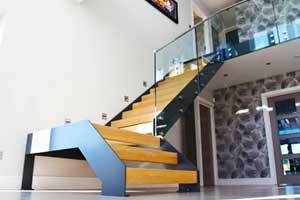 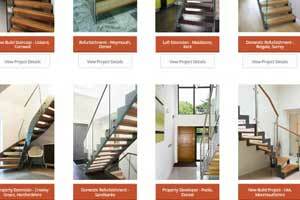 "Entry and exit points were the main concern with this spiral staircase. 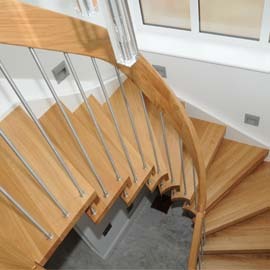 Plenty of space, and no headroom issues - but the exit upstairs and the entry below were in fixed positions. 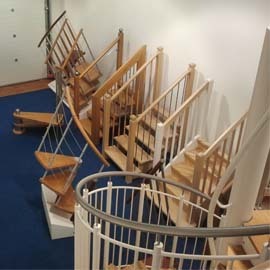 The solution was to create an unusually shaped platform to enable access downstairs without banging your head"